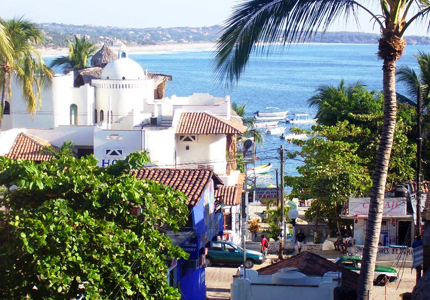 Located in the state of Oaxaca, Puerto Escondido makes our “Best Places to Live in Mexico” list for it’s beautiful breathtaking mountainous landscape that rolls into the beautiful Pacific Coast bay, temperate climate and “Old Mexico” feel. The general population of about 45,000 consists of local fishermen, farmers, expats and surfers. English is spoken here. There are enough full-time expatriates living in Puerto Escondido for things like English speaking churches, volunteer programs, and activities to flourish. Oaxaca contains some of Mexico’s most vibrant natural terrain including tropical forests, high mountains, lush valleys, rugged Pacific coast land and quiet coves with soft sands which lends itself to lots of fun for locals! The mountainous terrain of Puerto Escondido offers activities such as birding, hiking, sky-diving, and horse back riding. Water sports include surfing, kayaking, and sport fishing. The bay of Puerto Escondido has three principal beaches. On the northwestern end is Bacocho Beach, Playa Principal is in the middle of town and on the southeastern end, is the world famous surfers beach, Zicatela beach. Playa Principal is where local fishermen come in each morning to sell their catch of the morning to restaurants and families who are ready to buy fresh fish. Mexican locals hang out here and tourists come for water taxi’s to take them deep sea fishing and kayaking. Zicatela Beach is where the surfers go to play. A lighthouse that quietly guards the town of Puerto Escondido is right on a walking path, the Andador Escéncico (Scenic Walkway), which begins at the Playa Principal and winds its way over rocky ocean side cliffs to a lookout named “Sueño Posible” or the Possible Dream. In some places the walkway is very near the ocean and gets wet from the waves. A beautiful way to see Puerto Escondido. The climate is tropical and humid, with an average annual temperature of 28°C (82°F) with a rainy season in the summer. If you are considering relocating to Puerto Escondido, we recommend renting in the area for a while before purchasing. Long term rentals run anywhere from $500.00 U.S. – $1500.00 U.S a month, plus utilities. Typical utilities include electric (varies widely depending on use), water ($6.00 a month) and cable ($50.00 a month). If your rental has a gas water heater, you will need to have gas tanks delivered as well but this will lower your electric bill. Puerto has been subject to the same inflationary increases as the rest of Mexico, so is not the dirt-cheap haven it used to be. Still, it remains one of the best overall beach values in Mexico. Depending on your lifestyle choices, you can live in Puerto Escondido for less than you can in the United States or Canada. Depending on where you are from however, California or Arkansaw, real estate prices are reflective of ocean front properties. Most of Puerto Escondido either over looks the ocean or is very close to the ocean so an oceanfront condominium will run somewhere in the neighborhood of $250,000.00 and up. 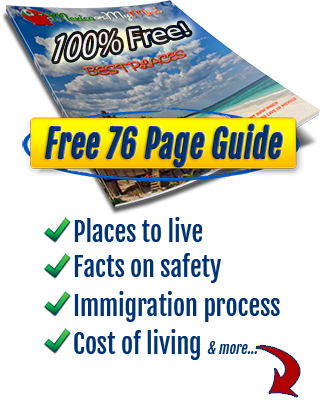 An oceanfront house can run anywhere from $275,000.00 into the millions. Right in the center of Puerto Escondido is The Ángel del Mar Medical Clinic. This private hospital offers specialized medical care with an emphasis on emergency care. If the medical emergency cannot be handled in-house, there is ambulance service that can transfer you to other hospitals in Oaxaca. The Hospital General de Puerto Escondido offers more services than The Angel del Mar Medical Clinic but it is still rather small. Oaxaca City or Salina Cruz are where the large and well funded private hospitals can be found for major surgeries. The health care costs are more expensive than a hospital that is funded by the government, but the costs are still MUCH less expensive than in the U.S. or Canada. Farmacia’s are located all throughout Puerto Escondido, including the popular “Similare” which offers generic brand drugs for significantly less. There are quite a few dentists in town that offer excellent dentistry for way less than you will pay in the U.S. or Canada. Puerto Escondido has one small airport, Puerto Escondido International Airport, that three airlines currently fly into: Aeromar and VivaAerobus from Mexico City 0r Aerotucan from Oaxaca City. The airport is a 5 minute drive from the city center. The most direct route is to fly to Mexico City and take another short flight into Puerto Escondido. Mexico City is a good 8 hour drive and 700 km away. If you fly into Oaxaca City, it is 258 km from Puerto Escondido on Hwy 131 and about a 7 hour drive. The public transportation system in the area, including ADO bus lines, taxi’s and collectivo’s, are plentiful in Puerto Escondido, so if you do not have a car, you can still get around. Banamex (Av Pérez Gasga s/n; 9am-4pm Mon-Sat) Currency exchange & ATM. HSBC (Calle 1 Norte btwn Calles 2 & 3 Pte; 8am-7pm Mon-Sat) One of several banks offering currency exchange in the upper part of town. There are several grocery stores but the one that offers the most sought after items by expats is Abbarrotes Super 69. The Catholic church of Diocese of Puerto Escondido and the church of Christian Surfers are located right in town and host English speaking services. Learn more here: http://mexico.christiansurfers.info/ . My Father’s Ministries is also right in Puerto Escondido. Puerto Escondido has limited shopping but they do have a furniture store, hardware stores, and tile stores. If you can’t find what you are looking for in the furniture store, you can always hire a carpenter to build what you need. For home items such as towels, sheets, cookware, ect., your best bet is to travel to Acupulco or Oaxaca City for the weekend, stock up, and travel back. Oaxaca state overall falls exactly in the middle of the country’s rate of drug-related deaths per 100,000 residents, but violence hasn’t touched Puerto Escondido or its coastal neighbors. Looking at government figures for fatalities from December 2006 to December 2012, released in January, neither Puerto Escondido, Puerto Angel nor Huatulco are making the list. 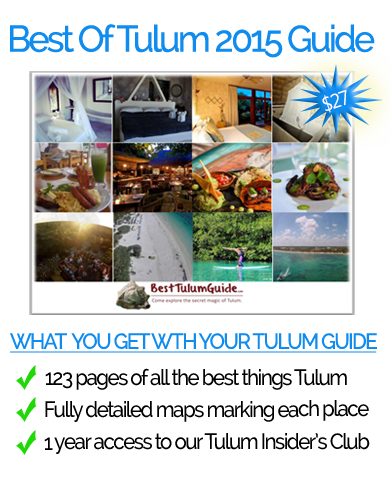 The main attractions of Puerto Escondido are its beaches and surfing which have become internationally known. Puerto Escondido is among the ten best surfing destinations on the planet. The Mexican Pipeline off Zicatela Beach is considered surfing’s holy grail from May to July, when waves reach 30 feet or more. A number of international competitions such as the ESPN X Games and the MexPipe Challenge take place here. The area is also attractive to scuba divers because of the wide variety of fish to be found, as well as large oysters, lobsters and manta rays. Although the Pacific Coast of Mexico generally runs north-south, this section of the coast in Oaxaca runs east-west, Playa Zicatela is on the eastern end. Hiking and birding are also big sport activites in the area. I was just in Puerto Escondido and feel you need to warn people about the danger of traveling to Oaxaca from there via the mini-buses. I decided to go that route to save almost 50% and three and a half hours versus ADO service. This was a big mistake. This road is nothing but curves along mountain roads. The drivers go as fast as possible and also pick up whom ever along side the road. I was terrified and asked the driver to slow down but he wouldn’t saying ‘this isn’t the USA’ one error and we could have went down 500’+ Also passing on corners and hills added to my anxiety!